This map is already on rotation. ^as above, its just that nobody votes for it. See here for "proof". kaelan002 wrote: ^as above, its just that nobody votes for it. See here for "proof". I don't remember ever seing cp_steel in voting. For the past 3 months I played it like 2-3 times on UKCS. Binerexis wrote: That's because it's TERRIBLE. lol just because you don't know the map, doesn't mean it is terrible. 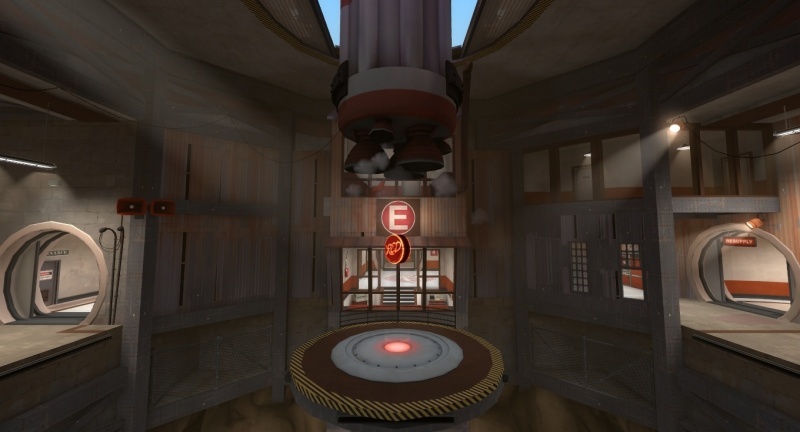 It is one of the most balanced and fun capture point maps for TF2. You can safely set it instead of Turbine on #6 server or add it as a third map. I have to admit I quite like Steel.. 50% of the time while playing I could win or lose.. Attacking is hard and defending is equally hard.. IMHO its a good balanced map. That's a brave assumption. don't you think that despite it being on rotation on both our rotation servers the fact it doesn't get picked much tells a story? If people wanted to play it they would vote for it when it comes up. The map choices on six were talked about at great length amongst the admin team. I dint think that adding steel to that server will make it any better. ApacheFlame wrote: If people wanted to play it they would vote for it when it comes up. The map choices on six were talked about at great length amongst the admin team. I dint think that adding steel to that server will make it any better. As I said I never see it in voting. And I play a lot in TF2 mainly on UKCS. People never vote for maps they don't know. 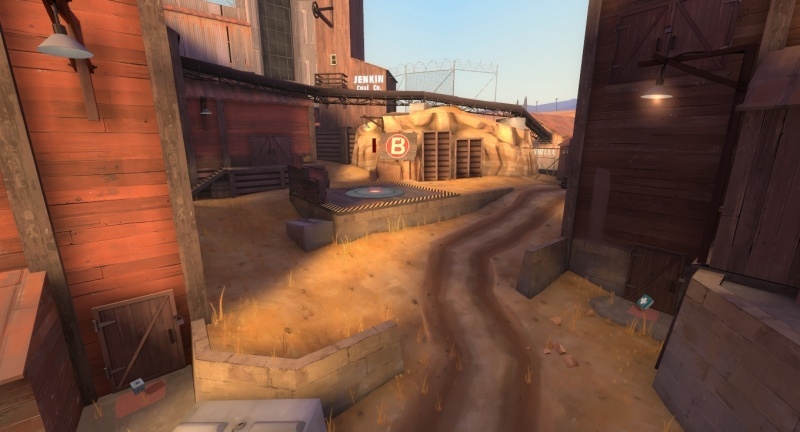 There are 2 24/7 dustbowl servers and plenty of people don't know that map. It is a duty of admins and active community members to pick best maps. If majority votes you will have dustbowl and goldrush in 90% of the votes or even more. I agree that it can be frustrating playing on this map with a team that doesn't know it. But so as any other map. Add it to granary/turbine server and I can tell you it will be more popular than those two in a month. Though I like granary myself. Turbine is not a good map for a public server. PsiAmp wrote: Add it to granary/turbine server and I can tell you it will be more popular than those two in a month. Though I like granary myself. Turbine is not a good map for a public server. TRUBRINE is the greatest map since sliced bread (that was such a classic map), and anyone who says otherwise is Psunfragga in disguise trolling me. I must admit I enjoy Steel. I can see why people might not though. Particularly moving from C to D on offense. The majority of the team never realises that the path to D is past A, not B. Slight design flaw there. Steel is just far too confusing for newer players (to the map, or TF2 in general). Turbine is a great map 5x5 and usually is boring as hell on public 12x12 and 16x16 servers. Anyone who says otherwise is a caking lie. Most people don't realize you can stop the cart from moving by standing near it. But that's not a design flaw. It is not a bad design. Same happens on every map that you don't know. All you have to do is watch introduction video. It is all there. If you have a good engineer on your team you got teleported where needed. coldandtired wrote: Steel is just far too confusing for newer players (to the map, or TF2 in general). I've played it on such noob servers you wouldn't believe. But UKCS has a fair amount of skilled players. That's why I'm here. PsiAmp wrote: Most people don't realize you can stop the cart from moving by standing near it. But that's not a design flaw. Well no. There is a clear flaw: Progressing from A to B is natural as a door blocks the way towards D and E from A (sure, it's opening, but so slowly it might as well not be). You then go from B to C in a continued offensive against the enemy's points. Then, after capping C, you go past the enemy spawn to D.
This sets up a model of B > C > D and players are more likely to continue trying to hold the C > D line instead of abandoning C completely in favour of A, which is what they should do. This method of progression is a design flaw that can't be blamed solely on normal player stupidity. It could probably be solved by closing a few of the passages and then opening them again after D's capture. PsiAmp wrote: Turbine is a great map 5x5 and usually is boring as hell on public 12x12 and 16x16 servers. Anyone who says otherwise is a caking lie. Its not really fair to come here and start going on about how turbine is crap and everyone who thinks otherwise is wrong. Just because you dont like something doesn't mean everyone else doesn't, the maps reflect the opinions of everyone not just the one that shouts loudest. For instance i would like a 24/7 turbine_pro + 2fort server with stock respawn times but the majority of players would find that horrible. I dont start ranting on about how everyone is wrong and im right, i just accept that it wouldnt work. Locking this for now. Starting to turn into an argument about turbine...Steel is on rotation and its up to players to vote for it when it comes up in map votes.